Liverpool travel to Bournemouth on Saturday undoubtedly high on confidence following their 3-1 win over Burnley on Wednesday, but there are several changes Jurgen Klopp must make. The Reds snatched all three points against the Clarets thanks to goals from James Milner, Roberto Firmino and Xherdan Shaqiri after Jack Cork initially put the hosts ahead. However, Liverpool’s opponents on Saturday have had a fantastic season so far, and are now up to seventh in the Premier League table following a 2-1 win over Huddersfield on Tuesday night. 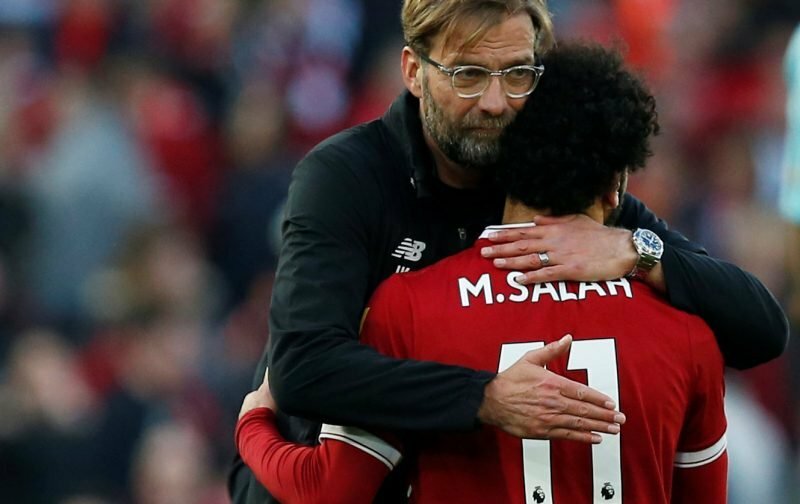 As such, there need to be five changes made to the side by Jurgen Klopp if they want to heap misery on the Cherries, with rotation taking place all over the pitch. In goal, Alisson must start as normal. In defence, Andy Robertson must be rested as a precaution just like he was against Burnley, which means Alberto Moreno will retain his place in the starting XI. With Joe Gomez injured, Klopp must select Dejan Lovren – who is on £90,000-a-week [Spotrac] – to play alongside Virgil Van Dijk in the centre of defence instead of Joel Matip, with Trent Alexander-Arnold coming in at right-back after replacing Gomez in the 23rd minute on Wednesday. In midfield, Naby Keita must retain his place after an excellent display along with James Milner, the scorer of one of the goals – however, despite not doing anything majorly wrong, mainstay Jordan Henderson must be axed in favour of Fabinho, who brings more energy to the middle. 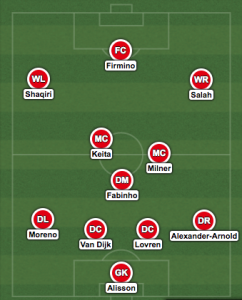 Xherdan Shaqiri should keep his place in the starting XI, but the rarely-seen Divock Origi must be axed in favour of Roberto Firmino, while Mo Salah must be recalled in favour of Daniel Sturridge.